Wednesday, Thursday and Sunday: 5:30 p.m. to 9:30 p.m. Valet service is free for Casino Privilèges members, Hilton guests and Le Baccara restaurant customers. 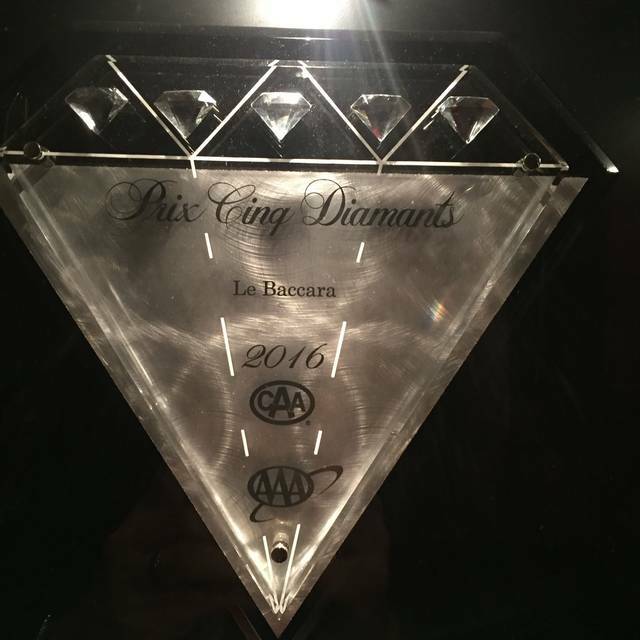 (18+)Proud recipient of the CAA AAA’s Five Diamond rating since 2001, the prestigious Le Baccara restaurant welcomes its guests to an original gourmet experience. Chefs work in their open kitchen right before diners’ eyes to produce delectable dishes that can be paired with grand cru wines. You may visit the restaurant’s impressive wine cellar where 10,000 bottles from 450 wine producers are stored. Le Baccara’s fine French cuisine is prepared with market-fresh products and enhanced with exotic accents inspired from culinary traditions around the world. 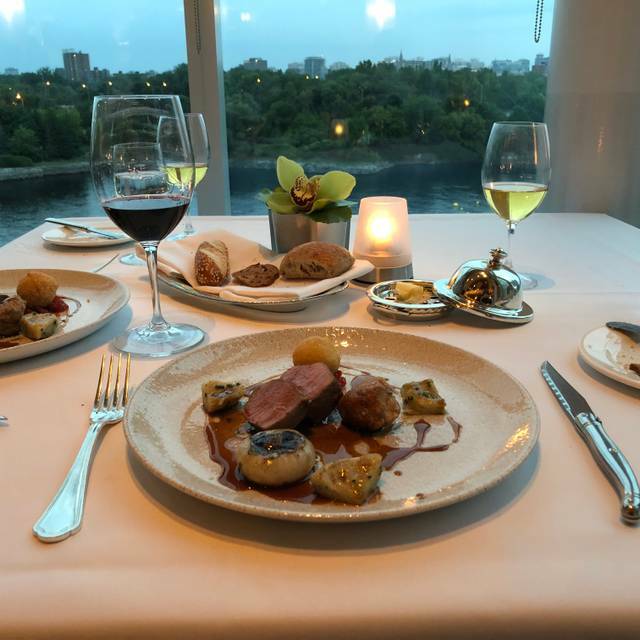 The restaurant is located inside the Casino du Lac-Leamy. Therefore, admittance is reserved to patrons 18 years old and over. Nice impressive setting, good service, and a good menu with wide choices. A good evening meal in the casino setting! We had a fabulous meal and the service was superb. We certainly would recommend the experience and will hopefully be future guests. From the moment we arrived we knew we were in for a treat. The staff was so welcoming, the table was beautifully set, and the ambiance was perfect. The little surprise treats while waiting for our entrees were excellent. Everyone enjoyed their meals, and the only reason I gave 4 stars for the food was because the lobster with the veal and lobster dish was a bit over done, slightly chewy. Otherwise the food was excellent and was fun watching the staff in the kitchen prepare the dishes. Jocelyn/Jocelain (sp?) made sure everyone was taken care of. Thank you for making our special evening so memorable! excellent rapport qualité prix, de qualité internationale. Great restaurant that is never disappointing. Highly recommend. 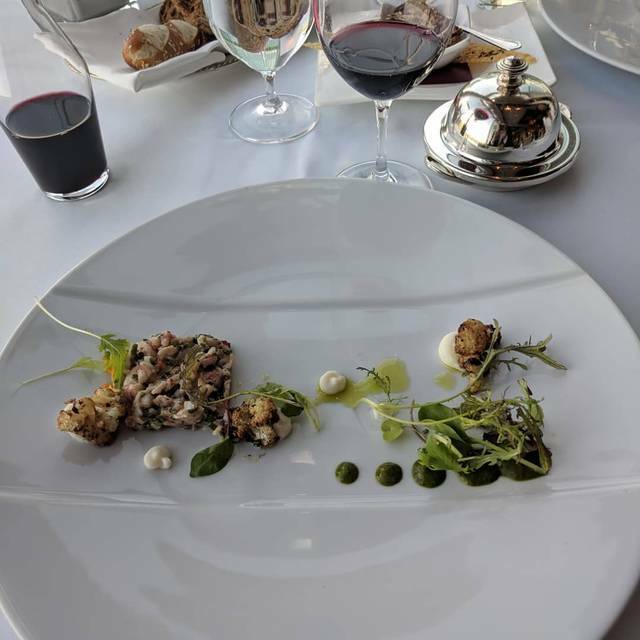 Nous avons adoré notre expériences au restaurant Baccara, le services est très professionel, je recommande le 5 services avec accord met et vin. Le choix de menu à la carte est vraiment varié et excellent. Professional and friendly services. Wonderful meal. Le meilleur restaurant à Ottawa-Gatineau! Mérite bien ce titre pour la nourriture et surtout pour un service extraordinaire! Wow! Meilleur place que jai essayer pour mon aniversaire!!! Merci a tous!! Encore une superbe soirée au Baccarat. Le service hors du commun (Matthew et Mario) et la nourriture était divine. Mon coup de cœur: foie gras en terrine avec le Sauterne. Everything was fantastic. Vincent all class and very professional. Merci! 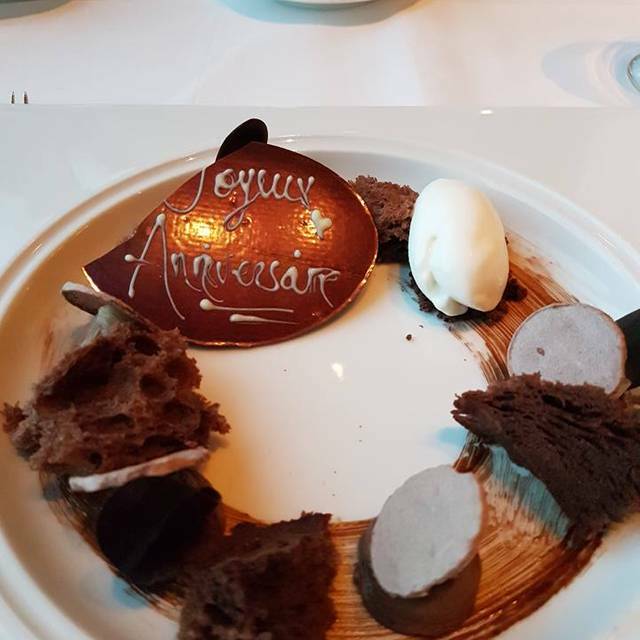 Merveilleux endroit pour célébrer un anniversaire en amoureux! L’ambiance est parfaite et le personnel et très professionel! Excellent, j ai vraiment aimé. Le service à la clientele est au top,le repas était delicieux. The food was amazing. 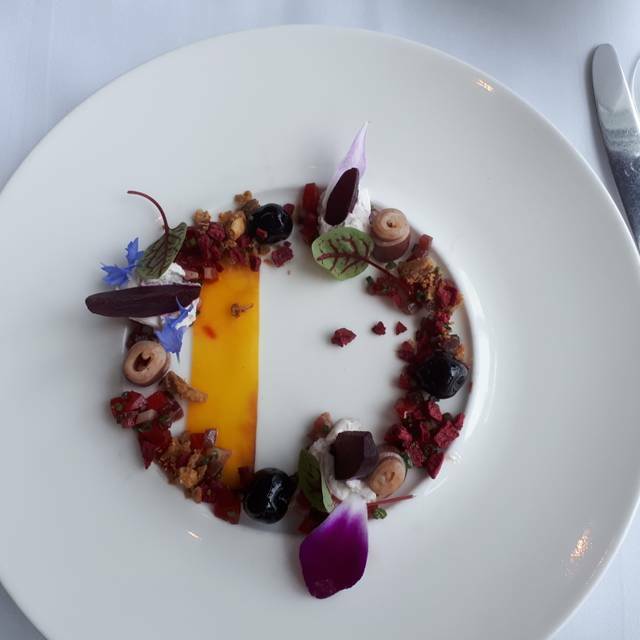 We had the 7 course meal which coupled a masterful blend of ingredients with esthetically pleasing presentation. The service was an unmatched with very attentive and personable staff. I can't wait to return to enjoy their other dishes. This was a great night. The food was excellent. The service is impeccable. It was a great atmosphere. 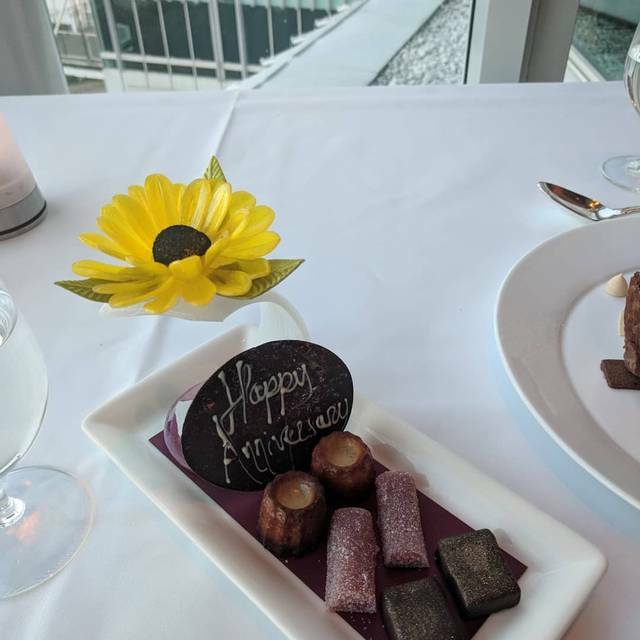 We always celebrate our anniversary at Le Baccara. 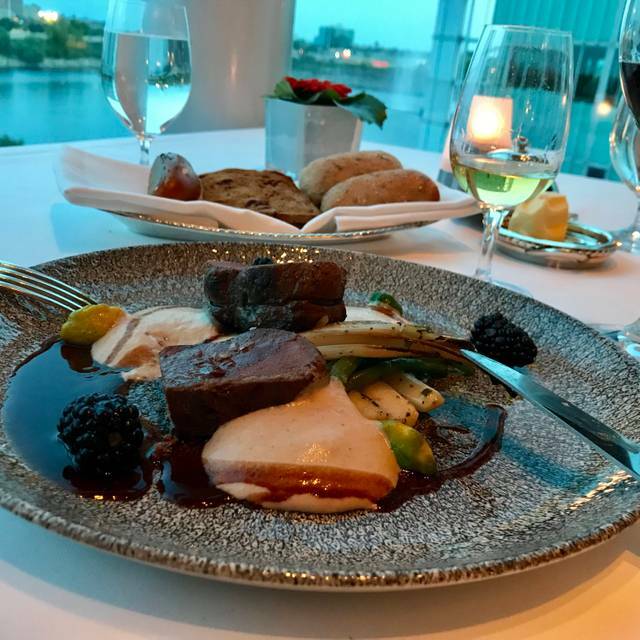 The experience is entertaining, educational, and above all delicious. The service is top notch. Top rate food & impeccable service. A wonderful family memory was created. We all had the Seven course with the full wine pairing. Great Valentine’s Day menu and live band. We enjoy it very much . Really great supper, good ambiance. It's our valentine tradition to eat there and it will remain the same. 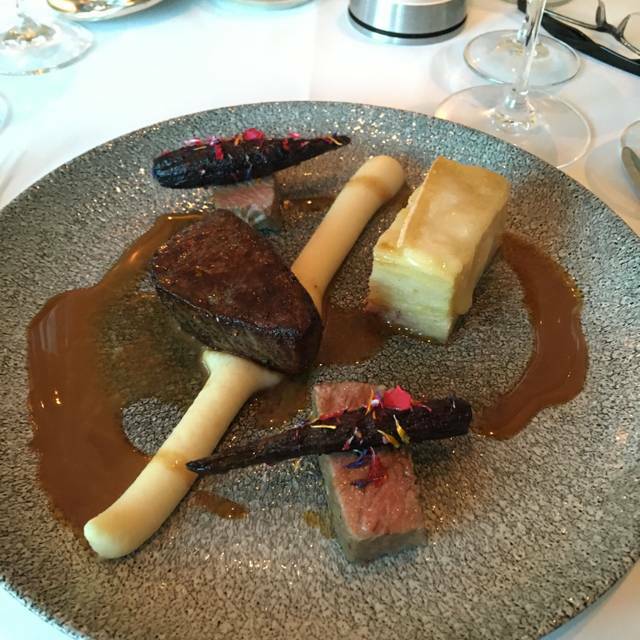 Opt for one of the 3,5 or 7 course meals and you won’t be disappointed. Great service and the food was great. The five course meal was a great option. top notch. we had an excellent experience with great wine and exceptional food. Le service est remarquable. Il y a une bonne complicité entre les serveurs. La sommelière nous a recommandée une bonne bouteille de vin pour accompagner nos assiettes. Le repas était extraordinaire. Les différentes saveurs se marient très bien avec la viande et les fruits de mer. Une soirée exceptionnelle. Excellente excellents experience culinaire. le service a aussi été exceptionnel. Nous serons de retours! Nous avons commandé le menu dégustation 7 services avec les vins prestiges. Chacun des plats était un régal pour les yeux et le palais. Le choix des alcools par la somelière ont été une expérience extraordinaire. L'expérience restera gravée dans notre mémoire. Le service est impeccable. La vue est imprenable. Un seule mot: Fantastique!!! Et sur tout les ponts!!! Une expérience gastronomique indescriptible! Il faut l’essayer pour comprendre!!! J’ai déjà hâte à ma prochaine visite!!! When you walk into Le Baccara and see all the awards on the wall, you know you are somewhere very special and it only got better; from Sylvain's service to the outstanding food. Every guest had their highlight. For me it was the squash soup. For others it was the 7 course meal option. Our experience at Le Baccara verified that they deserve every star they have. Merci beaucoup pour le fabuleux repas. J'ai eu un anniversaire parfait. I was very excited to try this restaurant seeing that I’ve only heard good things. I ordered the beef with a salad. The salad was good nothing outstanding. Then the main course arrived and the beef was so small and the potatoes and carrots I needed a microscope to see them. I had a swipe of potatoes. The buffet restaurant next door is 10 x’s better. I would never go back let alone recommend this to a friend. I will say thou the staff where outstanding 10 out of 10 we never laughed so much. I just wish the food was better. Thanks for having us.